Held in a different location every two years, the 11th edition of Manifesta takes place this year in Zurich, Switzerland and has been curated by the artist Christian Jankowski. This is the first time in Manifesta’s history that an artist has curated the festival. Under the title ‘What People do for Money: Some Joint Ventures’, around 30 international artists have been invited to develop projects with ‘hosts’ of their choice, which include representatives from a range of Zurich-based professionals. Highlights of the curated section of Manifesta include a collaboration between Catalan artist Carles Congost and the Zurich Fire Brigade; Maurizio Cattelan is working with a Paralymic athlete; Berlin-based artist Ceal Floyer is partnering with a local translator; Santiago Sierra with Marcel Hirschi, a security advisor from Security and Safety AG; and Jorinde Voigt with a local boat maker. The resulting collaborations will be exhibited at the hosts’ respective workplaces (so-called ‘satellite venues’), as well as the main Manifesta venues located at the Migros Museum für Gegenwartskunst, LUMA Westbau / POOL, Kunsthalle Zürich and Helmhaus. The historical exhibition takes as its starting point the question of ‘What do you do for money’ to illustrate how the profession we select when growing up plays a central role in the development of our identity and behaviour. Curated by Christian Jankowski and Francesca Gavin, the exhibition gathers artworks and non-art-specific materials from the past fifty years to showcase how and why artists portray the working process and relations that they face and engage in. The exhibition will feature work by nearly 200 international artists, including Susan Hiller. The architectural icon of Manifesta 11 will be the Pavillon of Reflections, a floating platform on Lake Zurich. Equipped with a large-scale LED screen, theatre seating, a swimming area and a bar, the pavilion will provide a place for dialogue and reflection on the artworks made for the biennial. The centrepiece of the program of events at the Pavillon of Reflections will be a series of films that follow the development of each new artwork and document their reception within the hosts’ communities. Manifesta was conceived in the early 1990s as a nomadic, European biennial of contemporary art, responding to the new social, cultural and political reality that emerged in the aftermath of the Cold War. Since 1996, Manifesta has taken place in Rotterdam, Luxembourg, Ljubljana, Frankfurt, Donostia/San Sebastián, Trentino–South Tyrol, Murcia, Genk and St. Petersburg. This year's festival in Zurich will run from 11 June until 18 September 2016. More information on Manifesta is available here. 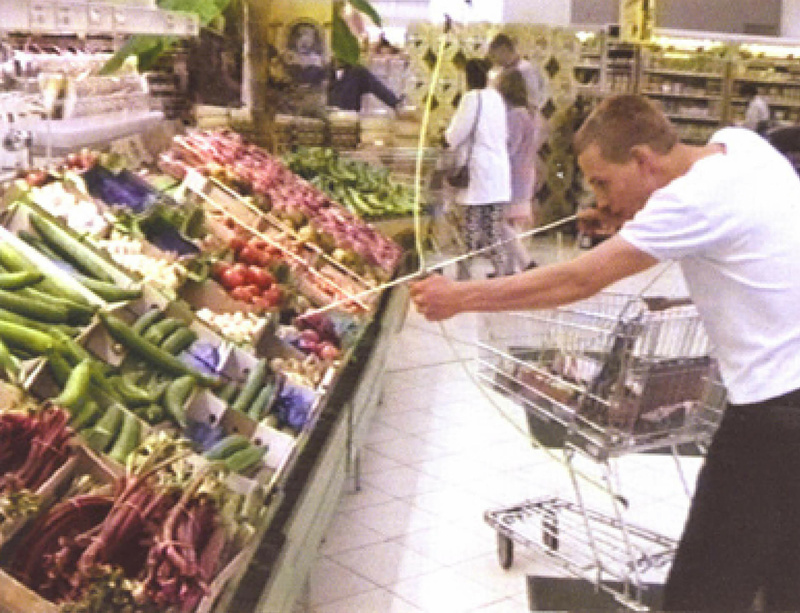 Image: Christian Jankowski, The Hunt (1992/1997). DVD projection. Variable Size © Christian Jankowski; Courtesy of Lisson Gallery.